Not as cuddly as his plush counterpart, but undeniably badass. They Released Plush Doom Demons. He&apos;s Here To Send Them Back To Hell. 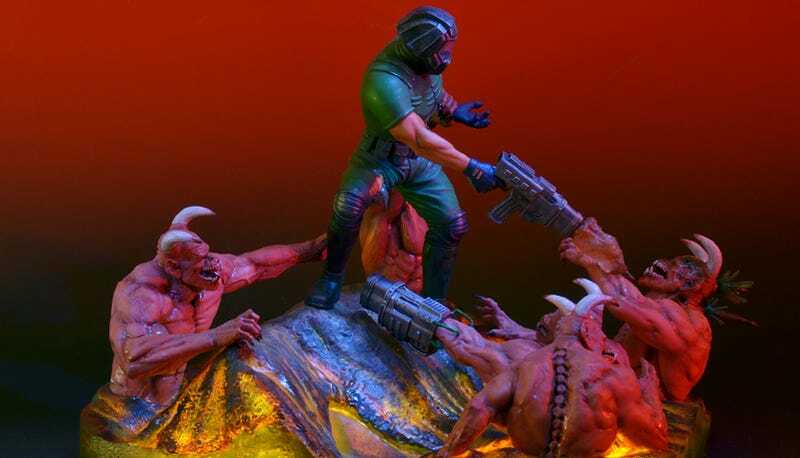 Gaming Heads is putting up a new diorama for pre-order, consisting of Doom's space marine doing his thing in a style reminiscent of the first Doom game's box cover. The 12.5 by 17 inch hand-painted statue comes with a light-up base, so it can also serve as a lamp in a pinch. Okay, not really. But it should look pretty damn good with the lights off.